Showered in Sparkles: Hello, football season! Here we are once again on the cusp of football season. Football season makes me giddy like a little schoolgirl. I love everything about it- tailgating, drinking, playing games, camaraderie, and I can't lie, the rivalry gets me going, too. The only thing that can weigh down my mood is not having a festive game day outfit. Growing up I was an avid Florida State fan due to my Father. We despised the Gators so not much has changed in that department. My love for the Seminoles eventually brought me to Tallahassee, as well as my best friend. A girl just can't live in that town very long. It's like being in love with a guy who lives somewhere that you could NEVER see yourself moving. You eventually have to part ways. I moved home to Orlando after 3 years in Tally and finished my degree at UCF. I'll also be attending this lovely establishment for my graduate school. 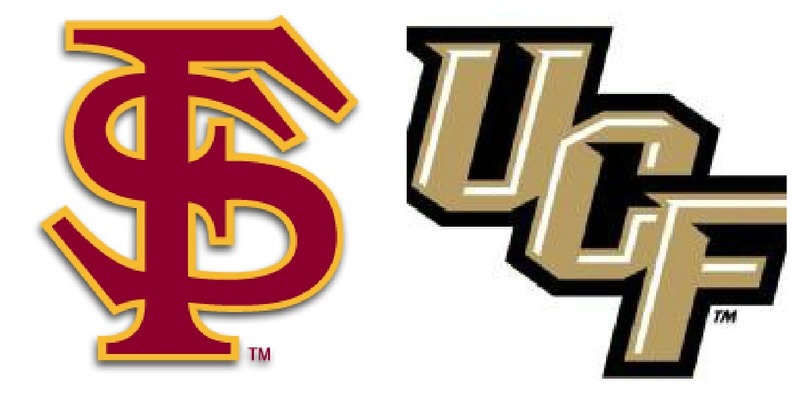 Orlando has my heart, so there should be room for UCF in it, too. I just haven't been able to mentally get into the games at UCF. Hopefully that will one day change. I'm pretty sure FSU will always be my team, regardless of my Alma Mater. I'll settle for pitchin' a tent out on Memory Mall and sippin' chuggin' beers with friends. Doesn't sound half bad, huh? My cousin is attending USF in the Fall. Family weekend happens to be against FSU so my entire family is going over there for the weekend to tailgate. Most likely, I'll be attending the FSU vs. Boston game at Florida State on Oct. 13th in Tally. Not to mention, I'll hopefully be attending every UCF homegame minus a few weekends that I'm already booked. As you can see, outfits are needed. 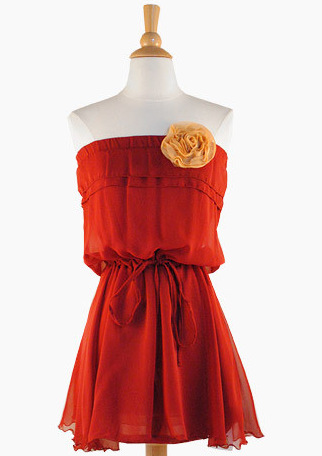 Still obsessing over this dress from last season that you can find over at Twelve Saturdays. They only have large left, bummer. Prime example of how you can miss out if you wait to long. All of these can be dressed up with belts, flowers and accessories. I'll post back when I find some cute stuff in person. Online shopping does me no good when I can't figure out what my size would be. What is your favorite game day go to?